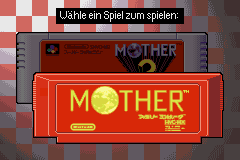 domflo just sent me his German translation patch for the MOTHER 1 side of MOTHER 1+2. You can download it here. I don’t speak German, so I can’t say anything about the quality one way or the other, but it looks pretty good from what I can tell. UPDATE! It sounds like a new version of the patch has been released, so check the description of the above YouTube video for the latest version. Wow that was fast. Good thing you provided those tools. I was about to download the tools, but then I remembered I already have them! I’m such a morin! Mexican Spanish translation, here we go!! Anon: I tried it just now and it worked for me. Did you right click and do “save as”? You can also take the “media.” out of the URL and it should work too. For me the download only worked when removing media. from the URL. Otherwise it returns an XML document that contains Access denied and request codes. The same happens when right clicking on the link and saving it (the XML file has the same name as the original file, so it looks like a zip file when it’s not). Well, that won’t stop me from translating it! I’m sorry but…what are you talking about? The lines in the video are 100% correct. Where do you get the idea from, that it should be “Benennst den Jungen” instead of “Benenne den Jungen.”? Your lines wouldn’t make much sense. “Benenne den Jungen.” is just as much a command with or without an exclamation mark. “Der Mann hieß George” is past tense. “Der Mann heißt George” would be present tense. Since the rest of the opening text is written in past tense the line in the video is correct. I’m sory, are you even German? I don’t wanna sound rude or anything, but if you were German, you’d understand that the lines in the video are 100% correct and your “corrections” just don’t make any sense. It’s a pretty good translation. Of course I am doing it a bit differently, but it’s not bad. From the video it looks like it’s just a word for word translation from the English translation, but that’s not necessarily bad. 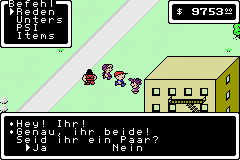 I noticed one bigger mistake though: When Ninten levels up it reads “Nintendo stieg ein Level auf!”. Instead it should read “Ninten stieg einEN Level auf!”. Well, V-King, it’s obvious that we have different German teachers, but, while I see how you could be correct on the “heiss George” situation, in a command sentence, you always conjugate for “du” and always end with a exclamation mark, but assuming you’ve had more German experience than I, I won’t argue it. danke für deinen Hinweis bezüglich der Level-Sache. Ich bin desöfteren ein wenig faul was Artikel angeht, und gerade bei solchen Anglizismen bin ich mir nie so ganz sicher. Ich hab das jetzt mal geändert. Tomato, would you be able to upload that update if I send it to you? I can upload it, but this is exactly why it’s best to have your own page/site for the project. I really recommend it if you can do it. Props to the translator who quickly finished this one. That is quite a feat! 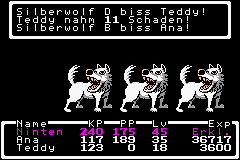 I don’t know very much German, but I’m happy more languages get to enjoy this lovely game. I’d love to pitch in with a translation project, but unfortunately, the only language I know well is English. This does look rather nice. 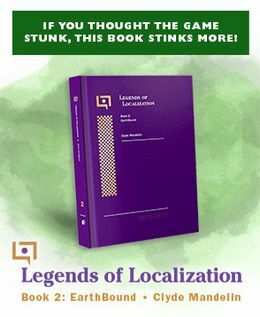 I remember trying another german language patch once, which was a horrifying experience, which is why I stuck to english. This one looks very promising. Might check it out later. Awesome! If I ever get some time, I might try to make a PT-BR translation :D.
Anyone know if there is a Dutch instead of Deutch translation going on somewhere? Vielen, vielen Dank an “domflo” für die deutsche Übersetzung. Und natürlich auch an “Tomato” für die englische Übersettung, auf der “domflo” aufbauen konnte. An dieser Stelle geht das Wort “Tagebuch” mit dem Buchstaben “h” in den Rahmen der Textbox. Ich sehe hier aber leider auch keine Lösung des Problems, da die Anzahl möglicher Zeichen in der Textbox eine bessere Übersetzung nicht zulässt es sei denn man kürzt bestimmte Wörter ab. @V-King: Arbeite bitte trotzdem an DEINER Übersetzung weiter, da, wie ich finde, beide Übersetzungen eine Daseinsberechtigung haben, schon anhand der verschiedenen Schreibstile von euch beiden. Many, many thanks to “domflo” for the german translation, and also to “Tomato” for the english translation which where the base for the german one. At this point the letter “h” of the word “Tagebuch” overlaps the border of the textbox. But saddly I don’t see any solution for this problem, because there is to little space for a better translation, unless you shorten some words. @V-King: Please don’t stop your translation project, because not only of your spelling style, there’s place for two german translations. If I left click it and try to open it that way, it doesn’t work. If I right click it and do “save as” it works fine. That’s the only real suggestion I can give. Just want to say this for people who find this page late in search for a German patch; The updated version (and all updates in the future) can be found by using the link in the description of the video!